Celebrate the season with a fun-filled holiday escape this year. Holiday-themed cruises can be a great choice for a fun-filled holiday vacation or a pre-holiday escape to get in the spirit of the season. These December sailings feature special holiday activities and gala events, elaborate decorations, delectable meals and much more. During the December holiday season, short cruises and week-long sailings are available from close to twenty conveniently located homeports around the United States. December cruises are a great way to enjoy the holiday season together. Ships are decked out with evergreen wreaths, colorful poinsettias, elaborate gingerbread villages, over-sized twinkling Christmas trees and plenty of mistletoe. There are a wide variety of holiday parties and spectacular celebrations offered on board. Sometime ships feature Christmas-themed cooking classes and special holiday shows as well. Ships offer festive events and activities such as caroling and sing-alongs, tree lighting ceremonies, Christmas parades, High Teas, New Year’s Eve Holiday Balls and dance parties. December cruises also allow vacationers to escape winter’s cold and enjoy tropical beaches without the high cost of international airfares. Airfares are generally one of the most expensive parts of winter tropical beach vacations. Cruises from close-to-home U.S. ports take travelers to the same sunny beaches, often for less than the price of a round-trip international air ticket. 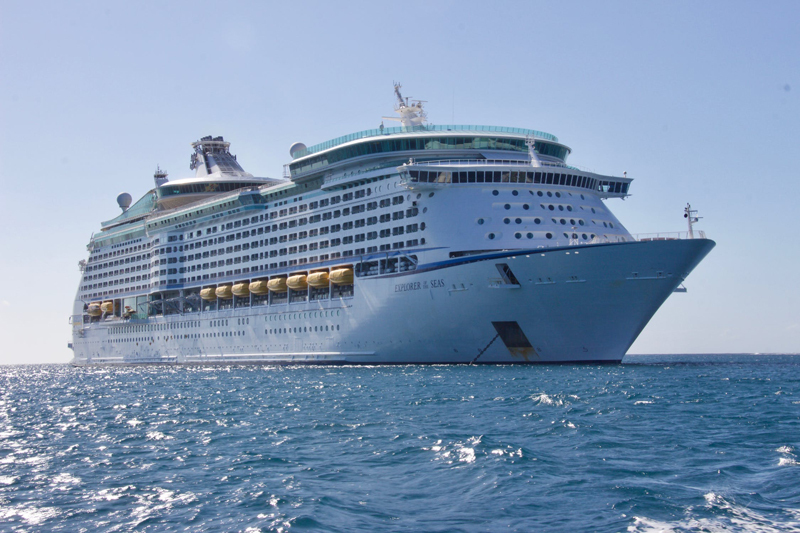 Cruise lines have positioned their ships in a variety of locations that are within easy driving distance of major cities, making last-minute festive holiday cruise vacations less expensive and hassle-free. “A cruise aboard Carnival Cruise Line is a fun and relaxing way to spend the holidays and with roughly half of the U.S. population located within a day’s drive of one of our homeports, getting to and from your holiday getaway couldn’t be easier or more convenient,” notes Carnival Cruise Line’s Vance Gulliksen. 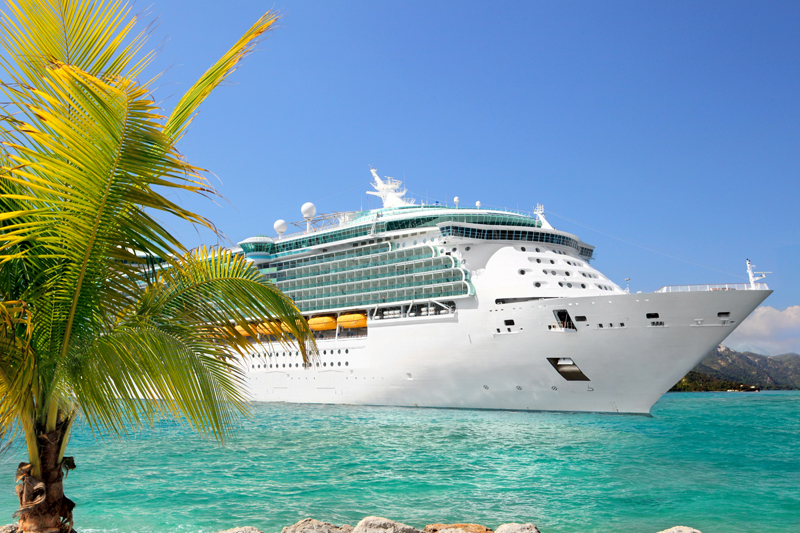 There are so many ways to have fun on a holiday cruise. Today’s cruise ships are like floating vacation resorts filled with exciting amenities such as massive water parks with thrilling water slides, two-level race tracks, glow-in-the-dark laser tag arenas, aerial biking attractions, movie theaters, Broadway-style shows, rock climbing walls, surfing and skydiving simulators, ice skating rinks, arcades and much more. In addition, many newer ships often have well over a dozen specialty dining options as well as numerous bars and lounges. A wide variety of accommodations choices are available as well. Holiday cruise vacations aren’t confined to ocean-going vessels, though. European Christmas markets river cruises are another great way to get in the holiday spirit. These river cruises provide guests with the opportunity to experience Christmas markets in a number of Europe’s cities and discover new holiday traditions. During the Christmas markets season, historic European cities and towns become enchanting winter wonderlands filled with festive holiday decorations. Each town’s Christmas market is unique with different offerings to explore. Stalls are filled with vendors selling handmade crafts, ornaments, candles, steaming hot drinks, delicious gingerbread and pastries, roasted chestnuts, savory sausages, handcrafted chocolates and a variety of other treats. The holiday spirit reigns on river cruise ships during the Christmas markets season as well. Decorations are lavish and a wide variety of festive on board holiday activities are offered including tree decorating contests, caroling, storytelling and gingerbread-making. Experienced Christmas markets river cruisers know to bring an extra bag for all of the unique gifts they’ll purchase on their vacations. Most Christmas markets stay open until December 23rd while a few stretch into early January. Historic resorts are also popular choices for holiday vacations, particularly when they’re decked out for Christmas. Located just 90-minutes from New York City, Mohonk Mountain House’s Victorian castle provides a fairytale-like setting complete with handmade wreaths, kissing balls and over 15 beautifully decorated Christmas trees. During the all-inclusive resort’s Victorian-style Christmas celebrations, guests can enjoy a wide variety of activities including a Yule Log hunt, Christmas caroling, and gingerbread house decorating. Holiday celebrations are festive occasions at The Broadmoor, a legendary Colorado five-star resort celebrating its centennial this year. The historic property is decorated with a million lights, an amazing life-size gingerbread house and beautiful Christmas trees. Events include elaborate holiday dinner shows, cookie decorating with the resort’s pastry chefs, and an impressive Winter Lights display at Seven Falls with over 100,000 individual lights and colored lights as well. Guests can even soar across the frozen falls on The Broadmoor’s Soaring Adventure zip line course. The Broadmoor also features its celebrated “12 Days of Christmas” filled with holiday-themed activities, cooking lessons and culinary delights. Theme parks like Walt Disney World are another popular choice for holiday vacations and pre-holiday getaways. Walt Disney World’s parks and resorts are spectacularly decorated for the holidays with massive iconic Christmas trees, over-sized gingerbread displays, huge ornaments, colorful garlands, thousands of twinkling lights and more. Disney’s parks feature special parties, parades and special events such as Mickey’s Very Merry Christmas Party, the International Festival of the Holidays and Candlelight Processional at Epcot, and the Flurry of Fun and Jingle Bell, Jingle BAM! at Disney's Hollywood Studios. This year's holiday additions include the Diwali holiday additions to UP! A Great Bird Adventure at Disney’s Animal Kingdom Park and plenty of festive decorations and fun at Disney’s new Toy Story Land. While you’re at Walt Disney World, make sure to visit Disney Springs to enjoy fantastic holiday shopping, dining and entertainment options. It’s a wonderful place to experience the magic of the holidays and take pictures along the Christmas Tree Trail as well. Amenity-filled resorts cater to guests with holiday programs to match all interests. The holiday season calendar at Virginia's Omni Homestead Resort is filled with hundreds of entries including the Homestead Holiday Express Hayride, Wine Tasting, Holiday Cookie & Gingerbread House Decorating, Artisan Craft Classes, special holiday brunches and more. The resort offers multiple ways for vacationers to celebrate New Year’s Eve, including a black-tie Celebration Gala and a black tie formal evening in The Omni Homestead’s historic dining room. The resort also features a wide variety of activities and adventures including horseback riding, skiing and ice skating (weather permitting), zip line tours, hiking, championship golf, sporting clays courses, and more.